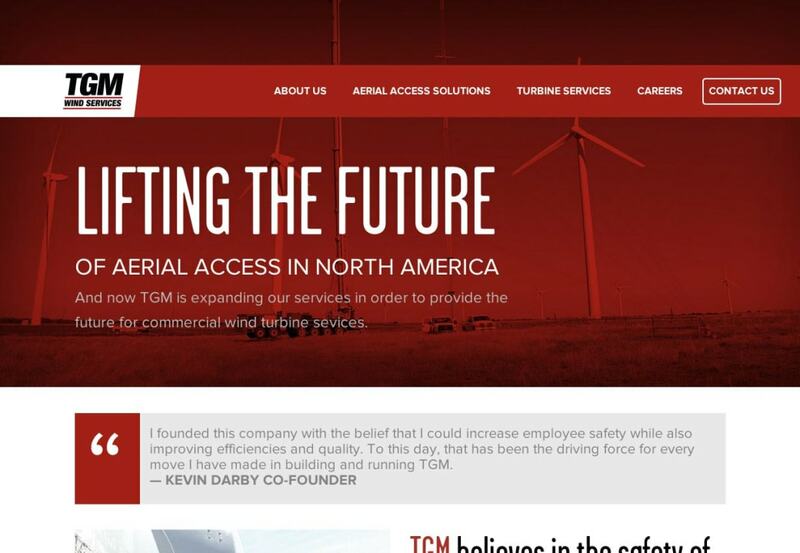 TGM Wind has an established reputation as the premier leader in providing the highest quality of external wind turbine services. 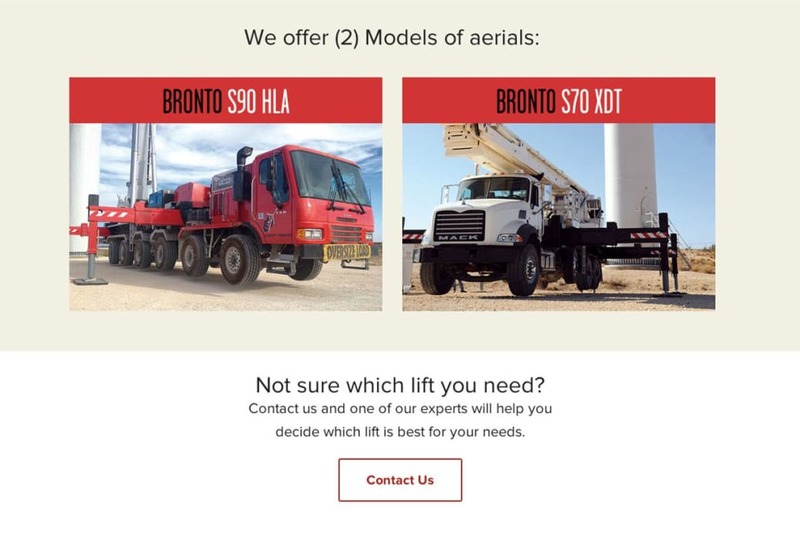 It’s a fascinating business where they leverage highly specialized trucks that can extend upwards 250 feet into the air to enable their teams to easily and safely repair and clean massive wind turbines. 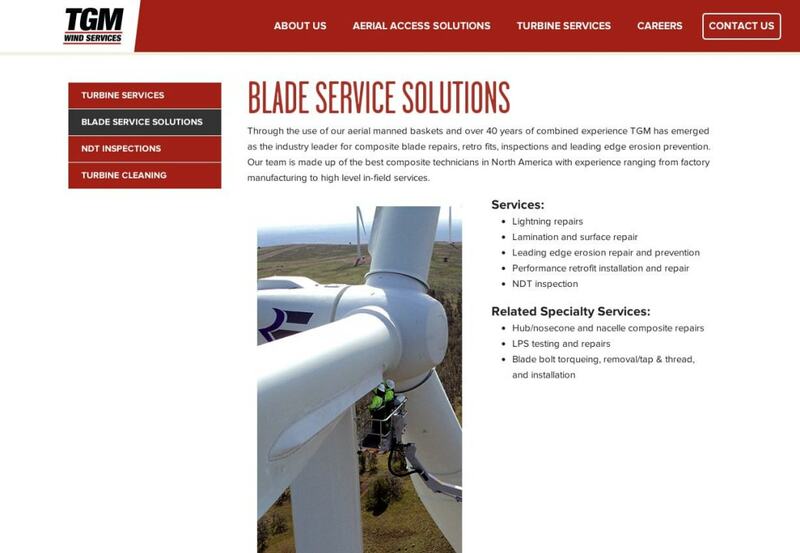 Their previous website was dated, difficult to update, and failed to reflect their full line of services. 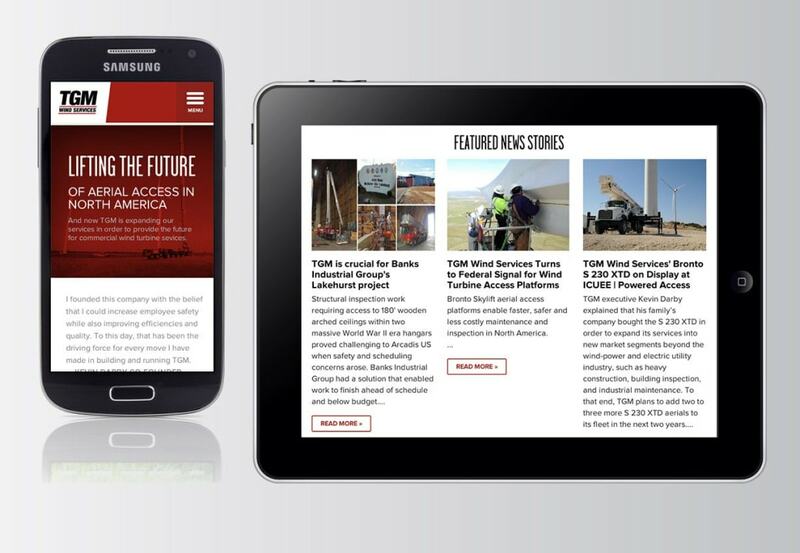 The recently launched website features a completely updated design with a fully responsive layout to enable it to display on a variety of devices and varying screen sizes. 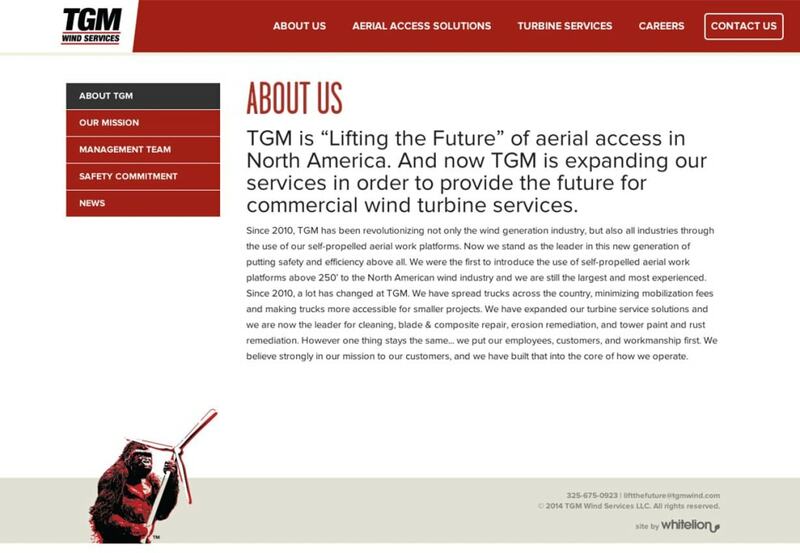 The front-end of the site provides users with effortless access to service information and specifications, while the back-end was augmented with content management tools to enable the TGM Wind in-house team to easily keep things up-to-date.